New England Patriots: The Battle For Fourth Wide Receiver Is Heating Up In Foxborough | NFL News, as it happens, when it happens. Your one stop shop. 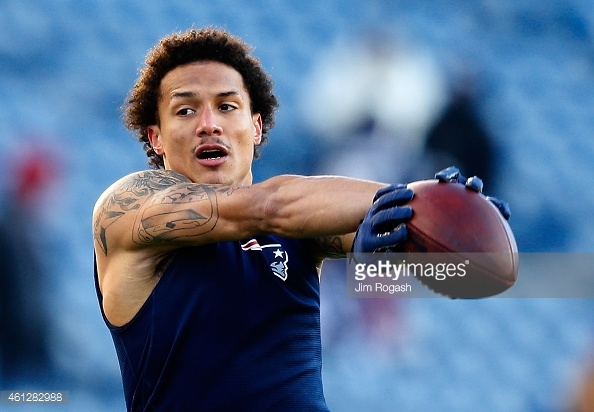 Going into training camp this year, the New England Patriots were set to have a battle for the number four wide receiver spot between Aaron Dobson and Brian Tyms. Now that the team is almost three weeks into training camp, the battle has turned into a multiple player fight for that ever so important roster spot. A multitude of players have emerged and some have re-established themselves as candidates for the roster. Throughout the first stretch of training camp, Aaron Dobson was one player that raised eyebrows. After finally having a healthy offseason, Dobson showed how healthy he was by making diving catches and jumping over defenders for the ball. It helps that fellow receiver Brandon LaFell has started camp on the physically unable to perform list, giving a lot of the reps with Tom Brady and company to Dobson. 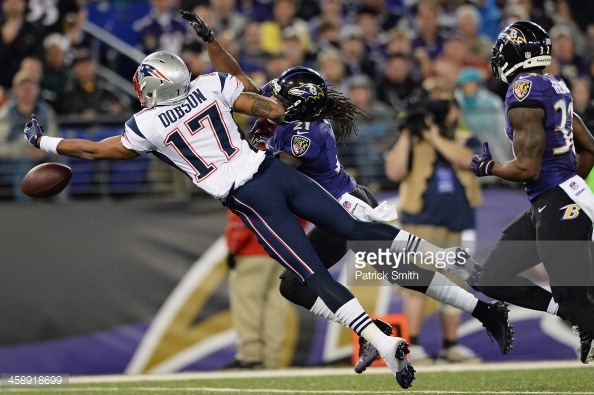 However, Dobson has yet again been slowed down by the injury bug as of late. He has since returned to practice, but other players have now established themselves as candidates for the job. Brian Tyms has also fought the injury bug so far in camp, but he has also come back and continued to fight for his job. Early on in camp, Tyms saw most of his reps come with Jimmy Garoppolo and the second team offense. Now, he is seeing time with Tom Brady and the starters from time to time. Tyms looks like he has worked on his ability to be a more diverse route runner, as opposed to being able to just run go routes. At times however, he has looked a bit sluggish. For example, on Monday he was not looking for the ball on a short crossing pattern when Tom Brady fired the ball right into his chest. The ball bounced out of his hands and into the arms of Dont’a Hightower. He is sporting the red non-contact jersey so I wouldn’t expect to see him in action on Thursday’s game against the Packers. Josh Boyce has to be the biggest surprise of training camp thus far. After spending his second season on the practice squad, not many thought that Boyce would have much of a chance of making the roster. Nevertheless, the 2013 fourth-round pick is proving the doubters wrong and showing that he belongs in the National Football League. He has never been able to gain the trust of Tom Brady, however slowly but surely it looks as if Brady is becoming more and more comfortable with him. This was never more evident than on Monday when Boyce toasted rookie cornerback Darryl Roberts for a sixty-yard touchdown reception from Tom Brady. Boyce has consistently beat Roberts this summer. We will truly see how much Boyce has progressed in preseason games when the bright lights come on. Furthermore, unknowns such as Jonathan Krause and un-drafted rookie Chris Harper have tried to make a name for themselves with the injuries in camp. Krause has had his fair share of troubles, but he has pro-level experience and more experience in the Patriots system. Harper is a small wide receiver at 5-11, 185 pounds, however he can fly down the field and runs crisp routes. At times last week when Dobson, Edelman, and Tyms were all out of practice Harper saw plenty of time with the first team offense, and he was fairly impressive. He wasn’t intimidated by playing along side of Tom Brady. In conclusion, the fourth wide receiver spot on the New England Patriots is for sure one of the most competitive battles in training camp this summer. Multiple players are fighting for jobs on the roster, therefore those players will need to prevail during preseason competitions and during joint practices next week against the Saints. In the end, I still believe that Aaron Dobson will win the job because he has the highest ceiling and he is finally starting to show it.